What would an old capital look like through the years of progress? We’re referring to Luang Prabang in northern Laos. For centuries, it was regarded as capital of Laos until 1975, when the government moved its operations to Vientiane. Still, ask anyone who has been to both places, and they’ll tell you that of the two, they prefer the quieter town that is Luang Prabang. 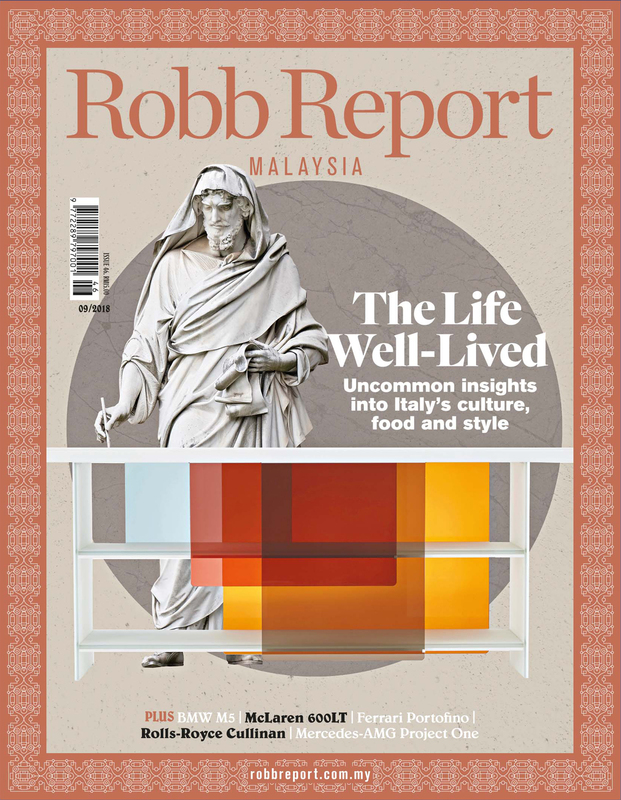 It’s the first time two editors of Robb Report have taken on an assignment to write a combined feature. And considering Sam Yen (SY), web editor of RobbReport Malaysia has visited the town twice, the first time in 2010, while Charmaine Tai (CT), web editor of Robb Report Singapore is making her maiden voyage, both of us thought it’ll be interesting to shed light on Luang Prabang from two different perspectives. Our accommodation for the next four days? 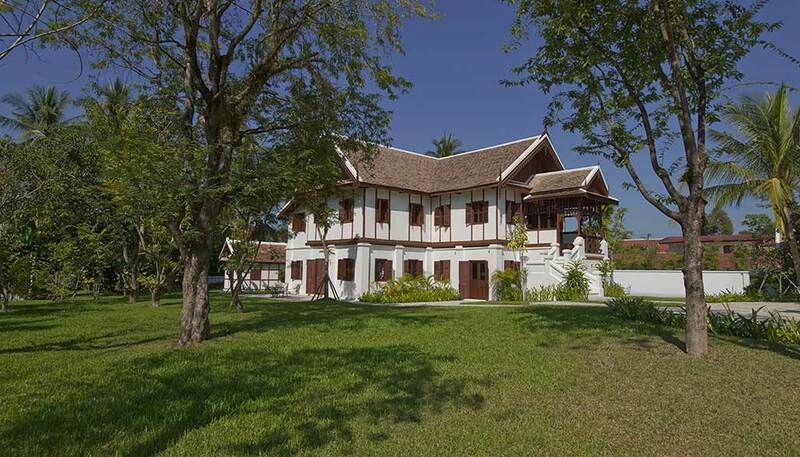 A four-bedroom villa at The Villa Luang Prabang, a mansion that used to belong to a Laotian princess. SY: The new airport might still be on its first, and pristine, coat of paint, but the roads in Luang Prabang don’t seem to have changed. Traffic is heavier – there are more cars and minivans – but the roads are still as narrow and as fringed with shrubbery as I remember. The car turns off into a quiet street and through a modest – but well-maintained – white wooden gate. There were no signs to announce the arrival so it seems at first that I might have entered someone’s private home by accident. That, seemingly, is the point of what would be my happy home for the three days – The Villa Luang Prabang, a polished property with a simple name. 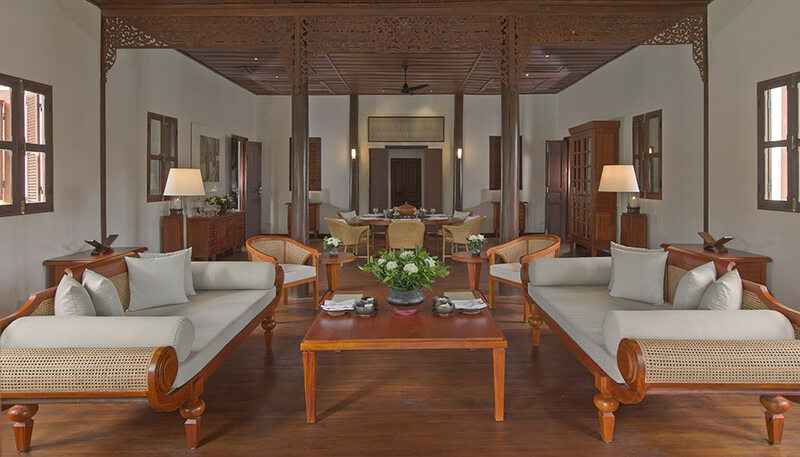 One name will tell you what The Villa Luang Prabang is about: Adrian Zecha. No stranger to Luang Prabang, having established Amantaka in 2009 and then the first chapter in his new Azerai journey last year (that hotel has now been rechristened under the Avani+ brand). 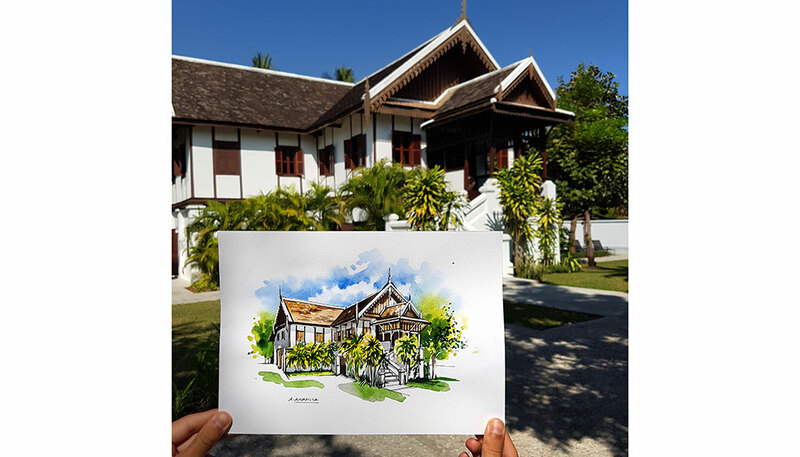 Lying on a street that was once a royal enclave – this house was the former Viceroy family residence of Prince Boun Khong – The Villa has character in spades. 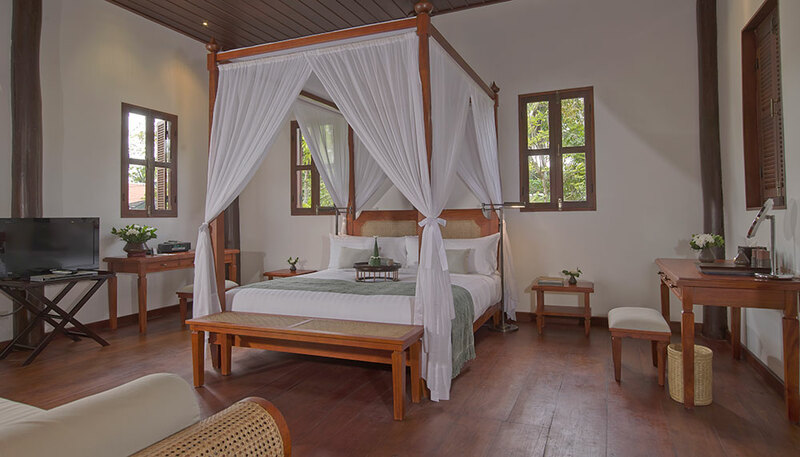 Built in 1923, it is a graceful marriage of Laotian and French architecture, gradually renovated by Zecha over the years into a four-bedroom private villa (from US$1,000 per night). It doesn’t feel like a hotel, and that’s the point. Taking the Aman Resorts modus operandi of discreet luxury and elevating it, call it a stereotypical description but it does feel like home. Doors are left unlocked, even the front one. 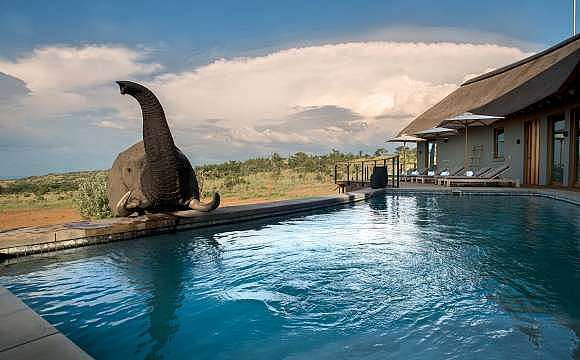 And even in the highest tier of luxury properties, there is always an invisible divide that defines roles and demarcates territory, underscoring that it is still a hotel. Somehow, this has been banished from The Villa Luang Prabang. I just felt at home here. CT: Space is obviously not a constraint in The Villa Luang Prabang. It’s split into two, with both levels offering a living area, dining area, and two ensuite bedrooms. While I don’t really see the need for two dining and living rooms, royalty will have you know that excess is an accepted form of measurement in the world of luxury. Also, it’s a plus point should The Villa be rented out to two separate families in the future. The teak floors creak with each step I take, and I do my best to trod carefully. After all, most of the structure has been retained (including panelled wooden window sills that open to the living areas), and I don’t want to be the reason an emergency revamp is needed. I’m given the master bedroom, and to call it large would be an understatement. The four-poster bed looks just that bit small for the room, with a separate living area being its saving grace. 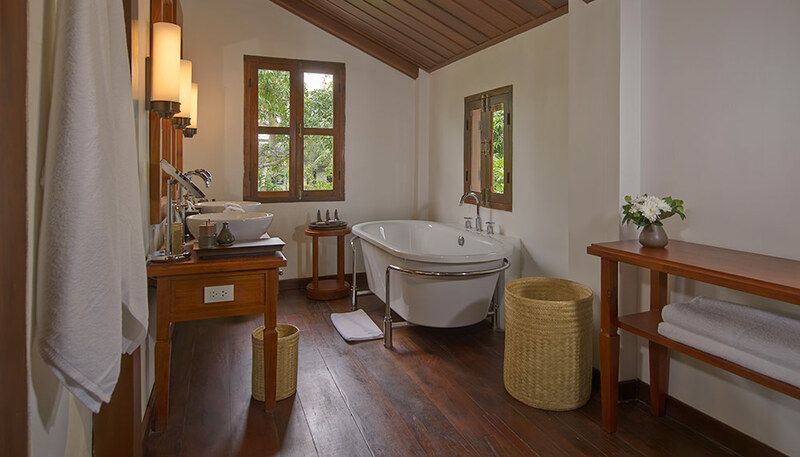 The elongated bathroom comes with twin sinks, a free-standing tub and views of the pool and manicured garden below. A door in the bathroom opens to the staircase landing inside the villa, and I wonder how the villa used to look prior to restoration. While you’ve all bathroom amenities you need, the butler is at your service throughout. Breakfast is included in your stay, with rotating fanfare of bread rolls and freshly cut fruit one day, and rice noodles in chicken broth the next. Of course, if you wish to try something you saw on the streets, just let the butler know the night before. There’s no spa or gym in the villa, but there is sprawling garden that’s perfect for children to run around, along with a lap pool. It’s an oasis for when the sun’s scorching, and you need a place to cool off after a day of exploring. Also great for when you decide to try your hand at raking leaves in the pool. News flash: it’s much more tedious than it looks. 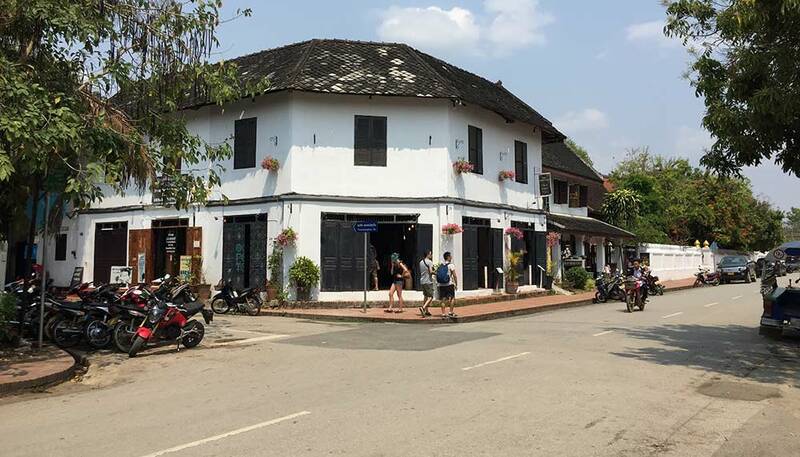 SY: I’ve always loved that sense of Old World magic about Luang Prabang, and I’m pleased it’s still here. The increase in scheduled flights have brought more tourists and the night market has exploded correspondingly in size, but traversing is still lovely. There are few, almost no cat-calls, hustles, nor harried offers. And when there are, a simple ‘no’ ends the conversation. Luang Prabang is a travel hotspot, but the gentleness of the people still remains. Unfortunately, Tai was ill over most of the trip, so I venture out on my own in the day. I retrace steps that I had taken before, admiring the intricate temple architecture and popping into boutiques that’ve made a welcome addition to the streets. I do the two things that are requisite during any visit to Luang Prabang. At 5.30am, I wake up and wait with the staff of The Villa for the alms-giving ceremony. The last time I did this, it was mayhem, with throngs of tourists lining the streets. At The Villa, the experience is personal. While waiting for the saffron-robed monks, I chat with other gathered villagers. One woman brought up a pot filled with steamed dumplings; she explains that her son is one of the monks walking up the street, and wants to ensure he and his friends have a good meal. It’s a shame to crawl back into bed, so after alms-giving, I put on my jogging shoes and head for a run. I climb Phou Si – the hill in the centre of town topped with a small temple. With dawn just breaking, there are only a handful of people there. We stand in silence, appreciating the sunlight punching through purple clouds, bathing the town in golden hues. It’s as magical as I remember and it still takes my breath away. CT: Luang Prabang is nothing like I imagined. The air is crisp and fresh, with the sweet scent of dew clinging in the air. At best, Luang Prabang will take one about twenty minutes to walk from one end to the other. 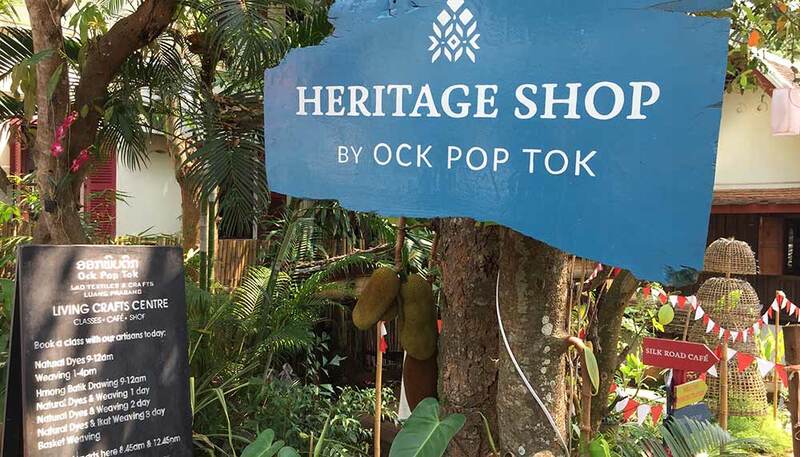 Defined by three streets that run parallel to the Mekong river, the town is a juxtaposition of centuries-old temples and charming French colonial-era buildings restored into boutiques or cafes. For a moment it feels you’re transported to an old French era with the city’s architecture, but the cockadoodling by roosters nearby remind you otherwise. Unfortunate as it is, I’m battling a throat infection. And as Newton’s law has it, clinics are closed, and I resort to buying off-the-rack medication from a pharmacist. I use the term loosely for it’s a mere corner shop at the market, its staff preoccupied with peeling vegetables. The words ‘dispensary’ is more appropriate here, for the staff aren’t trained medical professionals, don’t speak English nor are they able to recommend any dosages, so it’s a risk you’d have to take. With the obvious language barrier, I point to my throat, and the disinterested lady hands me a slab of pills. By stroke of luck the tablets are antibiotics which I’ve taken before. And it does the trick of putting me on the road to recovery in an instant. 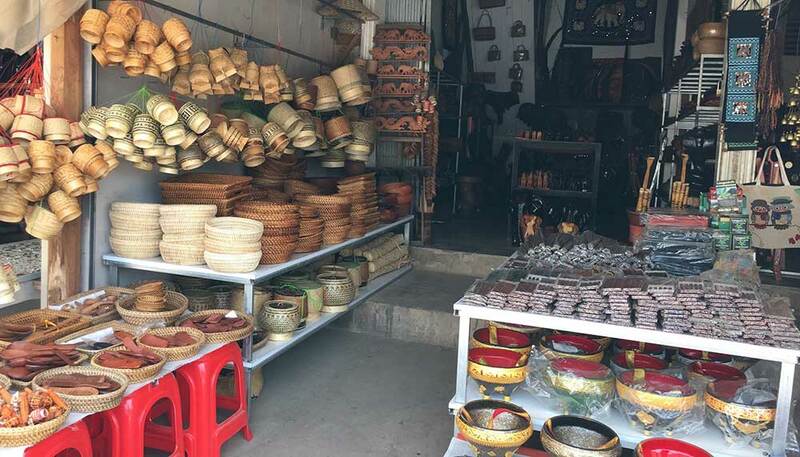 You’ll find most shops selling souvenirs, offering tours to neighbouring areas such as the Kuang Si waterfall, Hmong and Khmu villages, and providing legit massages (cleanliness questionable, service and expertise indisputable). But there are also local gems waiting to be discovered. Turn into an unnamed alley, and there’s a sign that welcomes you to listen to traditional folklore and watch local performances. 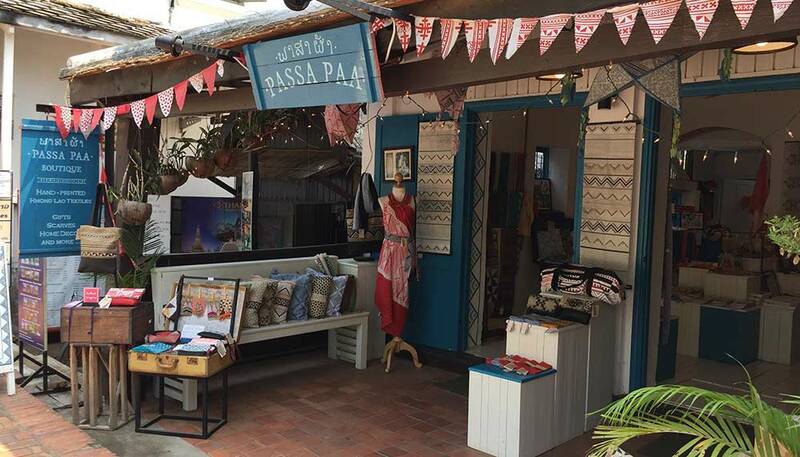 Then, there are boutiques like Pasaa Paa and Ock Pop Tok that showcase the finest handwoven bags, scarves, clothes and even homeware like rugs and throw cushions. These two local boutiques are just some of my favourite shops, and for more than one reason. It’s a sign of a town that not only progresses, but fiercely protects its culture, heritage and people. SY: Laotian cuisine is what I would describe as rustic or honest. That’s code for solid but unspectacular. Or at least, that’s what my taste buds remember. 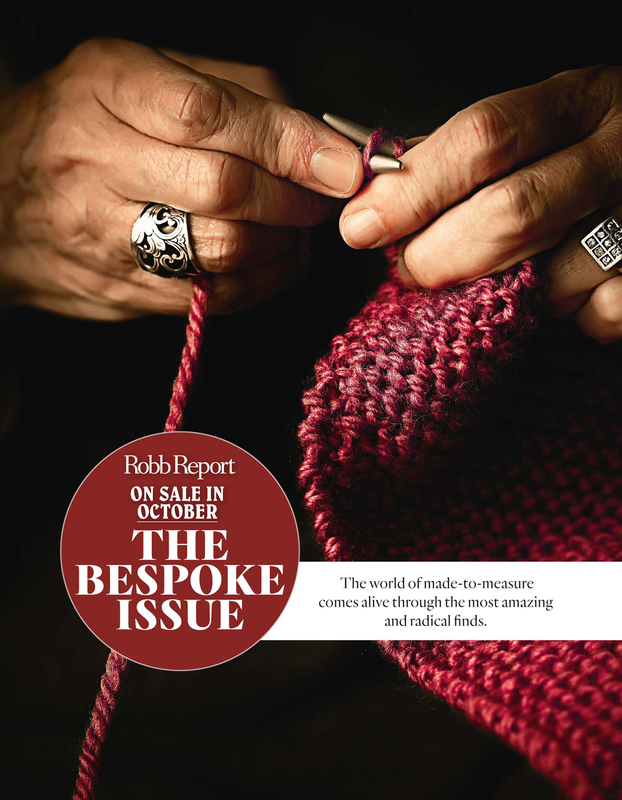 This time, however, we are on a Robb Report budget. And that means refinement. Dining options span the gamut in Luang Prabang, and at the highest end are restaurants like Manda de Laos and Le Calao, which have elevated the humble everyday dishes of Laos – or lam (eggplant salad), mok pa (steamed fish hor mok style) and the ubiquitious khao niaow (glutinous rice). For drinks, there’s a place just up the road from The Villa called 525 Cocktail and Tapas. Started by an English financial trader – and named after the time of the day when traders begin winding down as the market closes – the cocktails here are potent. In a good way. As is their selection of small bites, which includes a punchy serving of sticky chilli chicken and buffalo sliders. 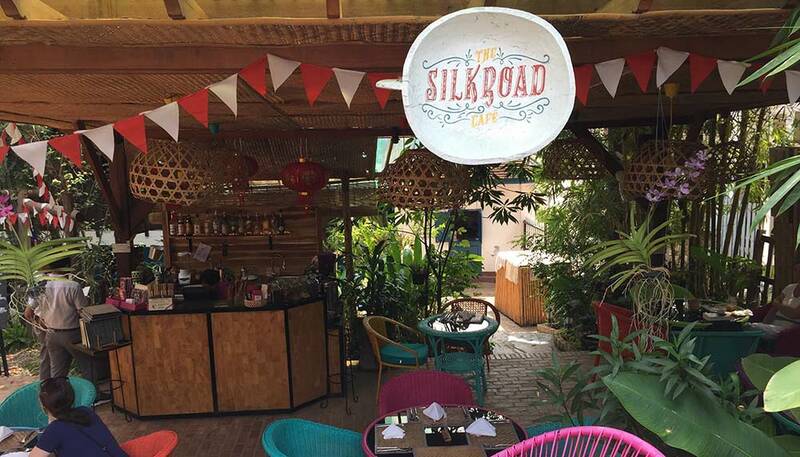 CT: The evening street food market off Sisavangvong Road is bustling, and gyozas seem to have joined the line-up (a reflection on the increasing presence of Chinese tourists). 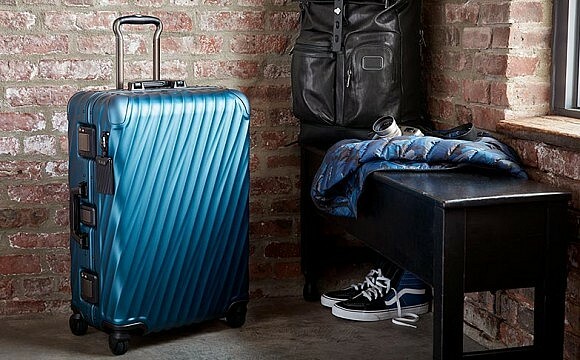 It’ll be sagacious to follow the lingering scent of barbecue in the air. Skip the fancy restaurants and go for Laotian street food. 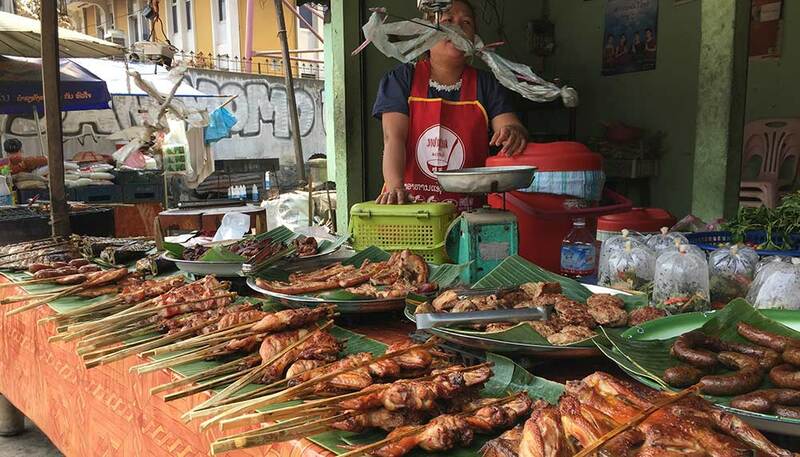 Locals offer fresh catch from the Mekong, along with pre-cooked meats which are re-grilled when ordered. 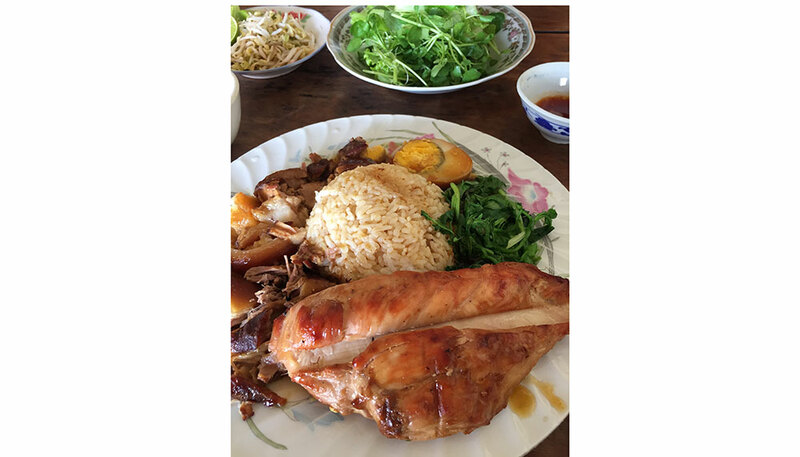 You can’t go wrong with grilled chicken in bamboo slathered in a piquant mix of soy and fish sauce. Fluffy kanom krok (coconut pancakes) are a delight to pop into the mouth while walking. And then there was the unnamed shop around the corner from The Villa that served a wonderful and warm plate of roast pork and rice, drenched in lor (thick pork broth). It certainly isn’t five star, but it was so good that we ate there twice. I even brought along a large piece of chicken steak on my second visit. There are no rules here; you’re free to bring other food to go along with your order. Not to worry, the lady boss barely batted an eyelid. SY: I have missed Luang Prabang. Despite being a writer, I still can’t really accurately describe why I love this town. It doesn’t have the grandeur of Chiangmai, or the trappings of Bali, or the lore of Mandalay, but it does have this charming je ne sais quoi that makes me smile. Eight years ago, I came here as a backpacker and eight years later, many things have changed, but the important things are still the same. Walking around town and just sitting down for a cup of coffee has a comforting feeling that just makes me feel at home. Just like The Villa Luang Prabang feels like home. 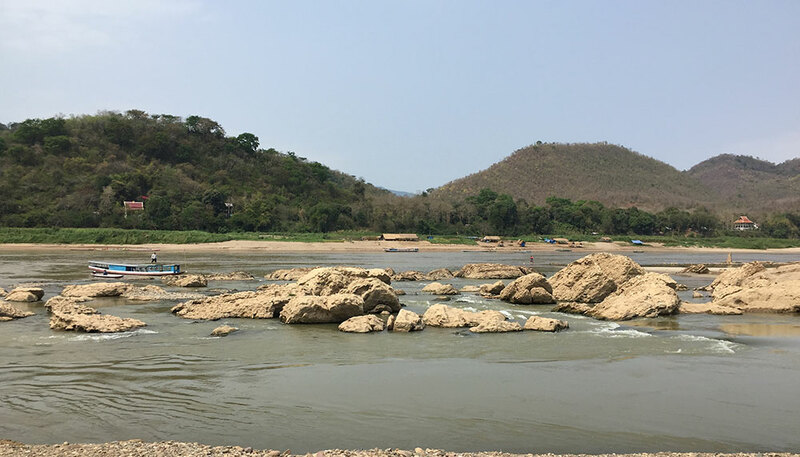 CT: There’s a certain charm to Luang Prabang that I can’t quite put a finger to. Perhaps it was also due to the season (you’re best off visiting from December to March). 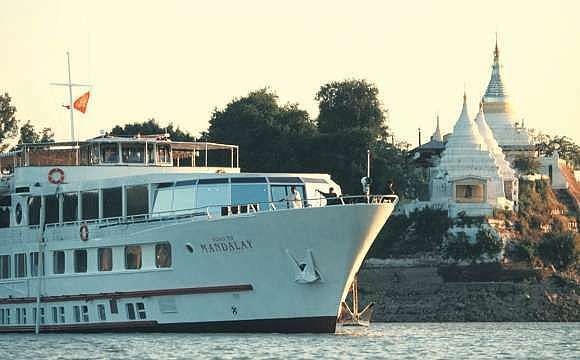 Temperatures hover around a cool 23 degrees Celsius in the mornings and evenings, making walks down the Mekong rather enjoyable. The streets are clean and well-lit at night, with stray dogs sauntering down alleys for pats. If I had to make a comparison, it sits between the chaos of Phnom Penh and bustle of Saigon. And in retrospect, the serenity of The Villa perfectly encapsulates the spirit of Luang Prabang; safe and homey, with a touch of culture. 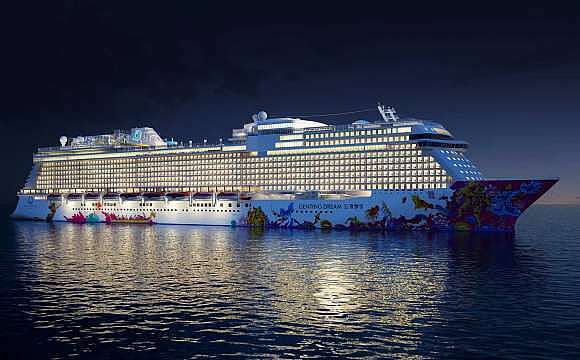 It’s no wonder tourists make return visits year after year.